Just a quick reminder, but the PowerCube deal through the DL Deals shop is only available for two more days at its low $17.95 price. 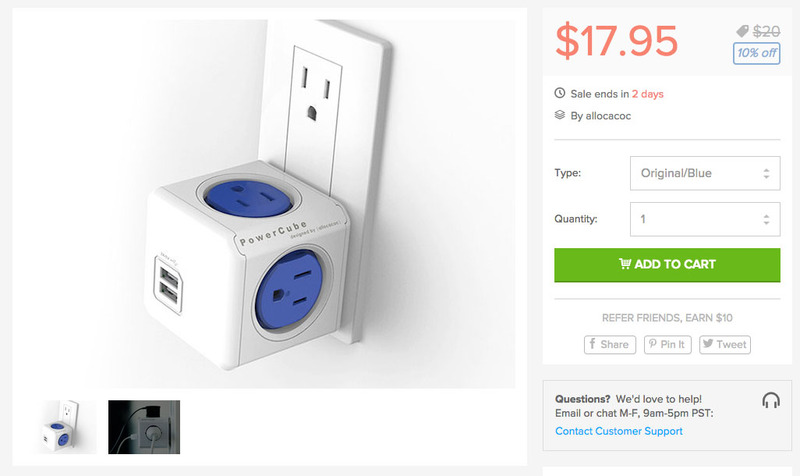 As a recap, the PowerCube turns a single wall outlet into a 4-outlet hub that also includes two USB ports. I’m imagining this as my best buddy when traveling and staying in hotel rooms that have limited outlets available for usage. With a single open outlet, the PowerCube could give you the ability to charge up to six devices at a time. Talk about a handy little travel accessory. The PowerCube is ETL and cETL certified, and has a resettable fuse feature that ignites if you exceed 15amps, protecting your electronics.